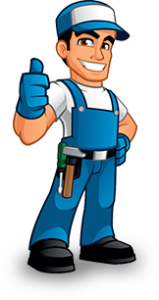 Need to decide rather quickly who to call for a pressing problem with your plumbing? Take all the time you need, but when you look at all the positives that come with choosing Arnold & Sons, we’re confident you’ll say “Yes!” too. Need a new water heater? You’ll find you more options than ever, including high efficiency tankless, gas condensing, and electric hybrid heat pump models. We also can help prevent basement flooding, ensure you have highest quality water to drink and cook with, and a bathroom that’s as safe as it can be for every member of your family. Have a difficult drain clog on your hands? You won’t for long when you entrust your drain cleaning and repair needs to Arnold & Sons: your total home plumbing resource.